What You Already Know Will Pale In Comparison to the UN Agenda In September —The Unleashing of the New World Order Is Here! 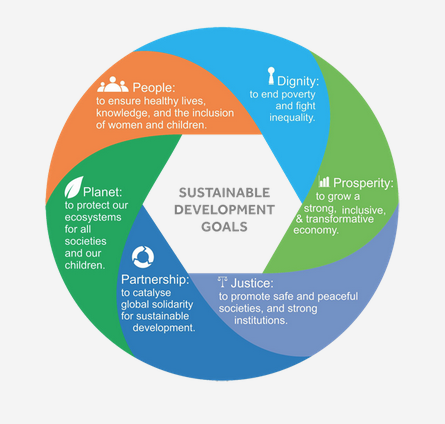 To “shape and change the countries of the world” that is one of the main agendas that will be promoted at this years United Nations Agenda 21 Sustainable Development Meeting happening during the critical month of September. President Obama, President Putin of Russia, Pope Francis and China’s president Xi Jinping, will all be in attendance at this globalists planning “party”. PreviousPost Office “Secret Black Sites”— What They’re For and Why You Can’t Afford Not Knowing! NextYou Won’t Believe What The CDC Admitted To and Swiped Off the Internet To Cover Their Tracks! Millions Were Affected! This United Nations Usurp of America Will Boil Your Blood! Their Agenda Just Got a Green Light! Lisa – My name is Ruben Alba. I am being told to share my knowledge with you. For some reason – it is urgent. Energy / Earth Cycle / Money / Humanity / Family teachings. Lisa, I stumbled upon an article or You tube video, regarding prophecy @ Before Its News. Hi, thanks for all your doing to share with us important news. Let’s hope the UN doesn’t get its way but we all know they probably will. Very interested to hear what Ruben has to share with you. As I pray for Gods will to guide my words – Verify all that is said here – the rabbit holes are deep. The Global Estate Trust was entrusted to the Papalcy to govern (and care for) the living and the dead on Earth. It is said to have been ordained by Jesus through his apostles to early Christians and the Roman Catholic Church has claimed rights to its stewardship. It has been ADMITTEDLY misused. This law was meant to govern the EARTH as to provide the foundation for Heaven on Earth. It is old code and truly a remarkable model for how people should function on the planet. There is no money mentioned – ever. Land is not owned. Anna Von Reitz (Former Alaskan Judge) has been the best proponent of bringing the document to light. In short – The Global Estate Trust gives the Trustee the right to issue a “State” into existence. But it is governed by the laws established. This is why Columbus was able to create a new world “state” for Spain UNDER the authority of the Pope. King James requested this same permission to form states in the Americas and the US forefathers went to King James to ratify the formation of the colonies. The united States of America “for the People”, DEFAULTED in 1861-3 and the US was “FRUADULENTLY” converted to the United States of America “of the People”. Make notice of capitals because they retain rights as corporate entities. That’s just the beginning……… Enter in stage left The Duchess of Alba (Custodian of Wealth). She is the only person in the world who may choose to bow to the Pope. They are cut from the same cloth. Very important stand in the physical world. Very important to understand your rights. The US has defaulted, it is no longer operating under good faith. They have violated our rights under the “Law of the Land”. Each of us has these right globally. This is what the Pope will more than likely tell the US Government/Cabal. WE are not to be sheep led to slaughter. All you must do to prevail in this battle is to open your heart to God. Have no FEAR. Love will conquer all – wake the people. It must be LOVE that conquers this Evil. Do not grow weary – do not stand down. You will be guided and you will know what to do.